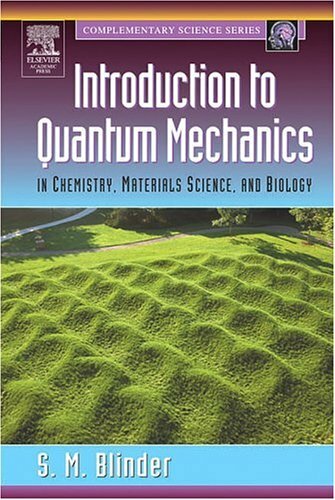 This book provides a lucid, up-to-date introduction to the principles of quantum mechanics at the level of undergraduates and first-year graduate students in chemistry, materials science, biology and related fields. It shows how the fundamental concepts of quantum theory arose from classic experiments in physics and chemistry, and presents the quantum-mechanical foundations of modern techniques including molecular spectroscopy, lasers and NMR. Blinder also discusses recent conceptual developments in quantum theory, including Schrdinger's Cat, the Einstein-Podolsky-Rosen experiment, Bell's theorem and quantum computing.